Today was the 23rd anniversary of the nuclear accident in Chernobyl, Ukraine. I had been invited to give a sermon at a nearby Unitarian church connected to both this anniversary and the May Day (Beltane) that’s coming up in a few days, and my thoughts, in preparation, revolved around how both of those dates, along with Earth Day four days earlier, combine a significance in cyclical time — the ritualized time by which people shape their daily, monthly, and annual life rhythms — and in world-historical time, that is, the time of events that have redefined humanity’s relationship to the world at large. Earth Day 1970 and the Chernobyl nuclear accident of 1986 both served as moments of recognition of environmental risk and hazard. Earth Day instituted the practice of large-scale political demonstrations and teach-ins on the environment. The 1970 Earth Day involved about 20 million people in the US; the 1990 Earth Day, at the peak of the ‘second wave’ of environmental activism, is thought to have involved 200 million participants in 140 different countries. Earth Day’s evolution thus offers a kind of gauge of the popular pulse of environmental awareness, and with its institutionalization into childrens culture, a gauge for the struggle over how our kids’ attitudes towards nature develop and, in turn, for how they may put pressure on us to change our ways. Chernobyl, on the other hand, was the single most important shock to a system (the Soviet) that was eventually brought down by the events it triggered. This was especially the case in Ukraine, where it catalyzed an environmental movement that ultimately mutated into the national independence movement. More so than most environmental disasters, Chernobyl remains mired in debates over its impacts. The International Atomic Energy Association’s 2006 report (co-authored with the World Health Organization and the UN Development Program) cited data suggesting that no more than 4000 cancer deaths can be traced to the radioactive release from the Chernobyl accident. In response, Greenpeace International produced a report citing scientific data that the number is really between 100,000 and 200,000. Victims’ groups, the International Physicians for the Prevention of Nuclear War, and even previous WHO reports appear to line up on the side of Greenpeace in this debate. Critics on both sides dispute the other side’s research methods, their use of epidemiological data, estimates for escaped nuclear fuel (which the IAEA puts at 3-4%, while others have claimed that 50% or even almost all of the reactor’s fuel escaped into the environment). See here , here, and here on the “body count” and other controversies. May Day, meanwhile, has roots in springtime festivities found across northern Europe, including in the pagan cross-quarter festival of Beltane . Among agro-pastoralist northern Europeans, these involved fire and purification rites: bonfires were lit across the country in Ireland, cattle were “purified” by being driven between two fires on their way to their summer pastures, and so on. The festivities around “bringing in the May,” celebrated in some form from England to Russia and known in Germanic and Scandinavian countries as Walpurgisnacht or St. Walburga’s Night, included collecting greenery and flowers at dawn, adorning buildings with garlands of flowers and greenery, singing May songs, drinking and dancing around maypoles, accompanying the spirits of nature (or of the dead) back into the fields, and other such activities. (Much of that was retained in the Eastern rite Christian ceremonies I grew up with surrounding the month of May, dedicated to the May Queen, Mary, and the “Green feast day” of Rosalia, celebrated on the Pentecost.) That’s the May Day of cyclical time. Chernobyl and May Day rub each other crosswards insofar as the first is effectively a repudiation of the overbureaucratized, mass-industrial state-socialist productivism represented by the second — in its Soviet-style military parade version, at least. But that can be a fruitful tension. There are some today who celebrate May Day’s ‘green’ (pagan) and ‘red’ (socialist) roots together, in an indication of the coalitional politics that might be needed in a risk society. The point I take from them is that labor is as sacred as anything — the way we make a living from the Earth is central to our survival and flourishing, and ought to be turned into a renewed sacred compact with the natural world. So these three dates — Earth Day, Chernobyl Day, May Day — together revolve around a trinity of related themes: (1) the ravaging of a parched earth, the shadow side of our relationship to nature, and the increased awareness of risk to ourselves and to other life forms through our own technologies; (2) rebirth and renewal, the celebration of new life and of the powers of fertility that give rise to it; and (3) the experience of our own power as agents of history who, when we recognize what’s occurred, can take action toward mending it and preventing it from occurring again. The first two are examples of ‘cyclical time,’ the third of ‘historical time,’ but together they point to the potency in bringing the two together so that the ‘deep’ time of our relationship to the Earth — a time marked by changing subsistence and production relationships — can be turned into the ‘revolutionary’ time of our action today. If we are to move into a sustainable set of production relationships, a new post-carbon sacred compact based on renewable use of the Earth’s resources and an industrial ecology for which, as McDonough and Braungart put it, “waste equals food” (our waste feeding itself back into the system for other organisms), then we can only do that through a socially just greening of our labor practices, performed in love and solidarity with others – and this time with all others, humans and other sentient creatures alike. I left the first of these comments up because I liked its tangential relationship to the original post. It’s a quote from Adam Smith, but one could mistake it for Marx, which adds a bit of political frisson to the conceptual mix. But the second comment shouldn’t really make the cut (what does gardening have to do with Chernobyl, May Day, Beltane, and risk society — unless it’s just to get random clicks onto this person’s gardening/landscaping web site. But really…?). I’ll leave it up as an example of what I won’t normally allow to stay on the blog, unless you’re willing to back it up with something more substantive. I wasn’t around for actual incident itself, but I’ve heard that it was a pretty dramatic time for many in Russia and the area. This is very educational , I enjoy reading it. Wow! I never thought of these events/celebrations as opposite sides of the same coin, but it makes sense. I always mark Chernobyl as the point in time where climate change took a turn for the worst. I lived in Yugoslavia (now Croatia) the summer immediately following the disaster. The residue reached that far (probably farther into) Europe as it did parts of Alaska and even CA. Even at that point, people were noticing that the weather was unusual. A wake up call for sure and yes, has a lot to do with individuals waking up to the seriousness of the situation. Thanks for offering this view point. These are some very awe-inspiring images. I feel as though this issue has been forgotten over the years and noting the anniversary of the disaster is a good way to keep it on the top of people’s minds. This is very informative and enjoyable. This is the result of a project gone awry. Too sad, there were innocent lives wasted. The blog is very interesting. I really enjoyed reading it. Keep sharing similar posts in the future as well. I really enjoy reading such types of informative blogs. Keep up the good work!!!!! This post should be read by those caught up in the recent revival of enthusiasm for nuclear power, if only so the possible consequences of accidents are clear. Nuclear power produce almost 0 emission,doesn’t emit green house gases and it produces electricity without pollution.On the other hand,waste products dangerous and need to be carefully stored for long time.If not contained can cause a lot of damage and spread (Chernobyl). very good articles , Nice post , Nice reading. Thanks for sharing. I never thought of these events/celebrations as opposite sides of the same coin, but it makes sense. I always mark Chernobyl as the point in time where climate change took a turn for the worst.On the other hand,waste products dangerous and need to be carefully stored for long time. The pain never goes away, but this terrible event proved to be a lesson learned for the world in general. Great thought provoking post. Chernobyl incidence shows how fiddling with nuclear energy without having sufficient technology and resources can wreak havoc. We now have North Korea, India , Pakistan etc. fiddling with this monster. We can only hope they learn from Chernobyl. Chernobyl accident was caused by many mistakes. We must work better to avoid such mistakes in future. If we did´t die of fear then when it happened it led us to create and develop modern nuclear technology. We made 3. and 4. generation of nuclear reactors which are almost safe (almost but not total safe). And now we have new solutions such is thorium reactors (which are absolutely safe)- that brings hope for the energetic future – a solution for our civilization that depends on energy. Chernobyl and even Three Mile Island could have been prevented if we all went GREEN. I just wanted to comment that Russian adaptogens are actually a result of what happened in that area. These plants have actually helped many individuals with their help. I always like to look for any positive in a negative. I hope the pro-war people don’t use Mary Mycio’s comments as evidence that bombs are GOOD for the environment! Chernobyl is still a scary place, they should publish what they found there after the explosion and the mutation and illness of people. Then people will sure understand that we need more green progress. -we must be humble and recognize that the knowledge we have of how the earth grows and provides us with food ,energy ,and resources is very poor.That is why we are taking risks. Earth has been preapering to receive us thousands of millions of years just working for us, but we do not even know near anything of how it worked for us. 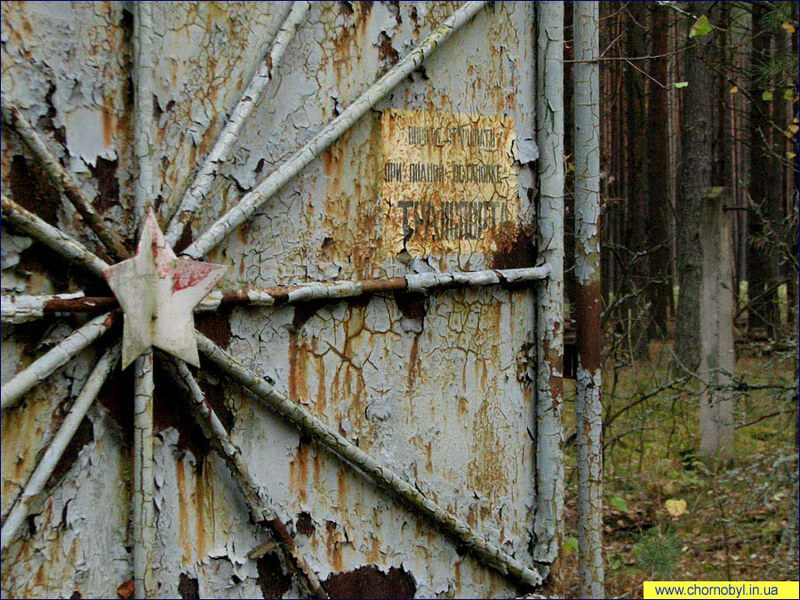 I can´t belive it is already 23 years since Chernobyl. I was 18 years old back than and we were doing a three week practice on an organic farm near Frankfurt/Germany. In the first few days after the accident life for us went on a usual, altough everybody was shocked – we were brought up with the fear of a nuclear war, went to conentrations with our parents etc. When the nuclear cloud reached Germany, all of a sudden there was a direct impact on our lifes: we weren´t allowed to work in the fields anymore. We went home from our stay at the farm angry and scared. And today there are politicians who are selling nuclear energy as the “new green energy for the future” Now that is scary! I am not convinced of the Chernobyl disaster being a catalyst for the fall of the USSR. I see no relevance in that inference. The idea of our world and our relationships with it touch the upon the pagan rituals of ancient times. The only way that mankind will reunite with nature is to reunite with it. Nature is stronger than mankind and will win out in the end, unless mankind finds a way to destroy the world first. Ha! “Perhaps we (people) are the real environmental disaster.” This statement is something to think about. We have done so much damage to the world, quite a few of which are irreversible, and we can only hope that the actions we take to mitigate the damage are enough for the next generation. The blog comment on the Chernobyl evacuated areas is very interesting. I watched a special on the Discovery channel about the Chernobyl post event. The subject of the special was how the wildlife and plant life were populating the abandon Chernobyl urban areas in great numbers. It appears the plant and animal life are adjusting to the radiation levels. It is amazing how resilient nature can be if given a chance. I really, really love what you do. Keep doing stuff like this! Congratulations!